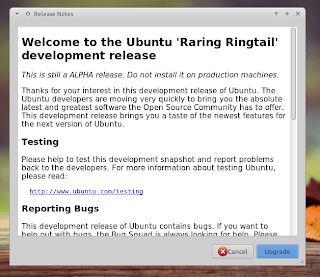 Ubuntu 13.04 Raring Ringtail will be officially released next month, but if you want to take a peek about what's new in Ubuntu 13.04 Raring Ringtail, you can now upgrade to Ubuntu 13.04 from Ubuntu 12.10 Quantal Quetzal via Update Manager. 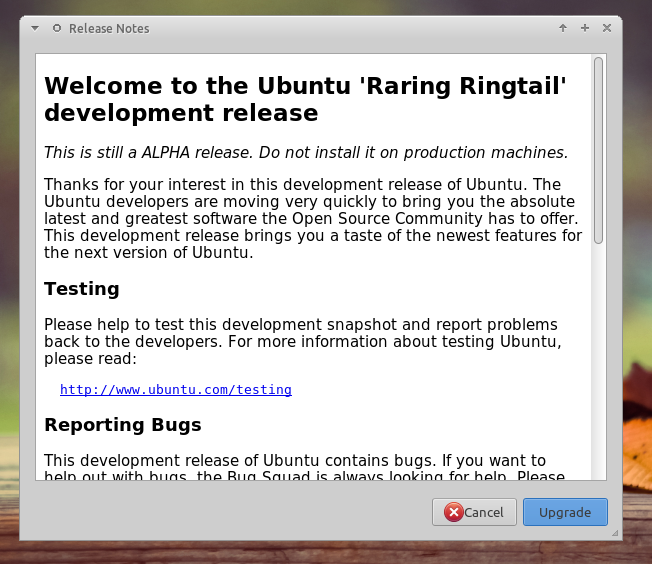 Please note that Ubuntu 13.04 Raring Ringtail is still in ALPHA release :CMIIW so please don't install it on a production machine. 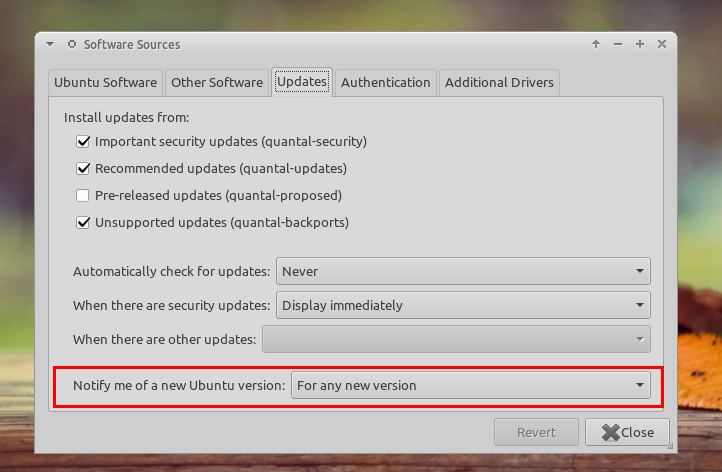 Please make sure you have selected the option to let Ubuntu notifies you when there is any new version available. You can do it by accessing Software Sources. 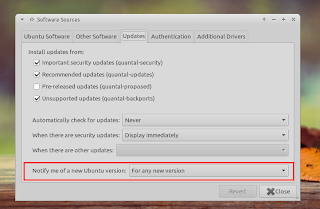 Well, you can upgrade to Ubuntu 13.04 Raring Ringtail with these easy steps. Open the Terminal and execute "update-manager -d". Update manager will check update for you and offer to do system upgrade. As you can see in the picture above, there is a system upgrade to Xubuntu 13.04 (I use XFCE instead of Unity). 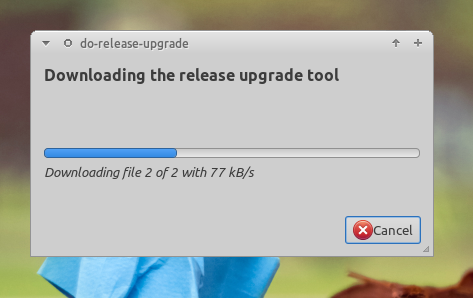 Simply press the "Upgrade..." button so that the release note dialog shows up. Press "Upgrade" and sit back while the update manager installs the latest version of Ubuntu on your system. If there is a need to restart computer, Update Manager will do it automatically.